Tied with weight loss, building solid lean muscle mass is the most popular fitness goal to achieve. Regardless of what your ideal physique looks like, who doesn’t want to add a few pounds of lean muscle mass? Having more lean muscle tissue promotes a higher level of overall calorie burning and when it comes right down to it: having muscle looks great. Let’s take a look at the top 5 muscle building tips that will help you achieve a lean and muscular body. Before you step foot inside of a gym, you want to make sure that your muscles are going to have enough energy to make it through the workout. Hypertrophy workouts, also called muscle growth workouts, are tough and if you’re not able to last through the workout, you’ll be short changing your gains. You need two types of energy here: one for mental endurance and one for muscular endurance. To keep your mind engaged and your motivation elevated, you can use a pre-workout supplement. You can also drink a cup of strong coffee. For muscular endurance, you’ll want to supplement with creatine and glutamine. 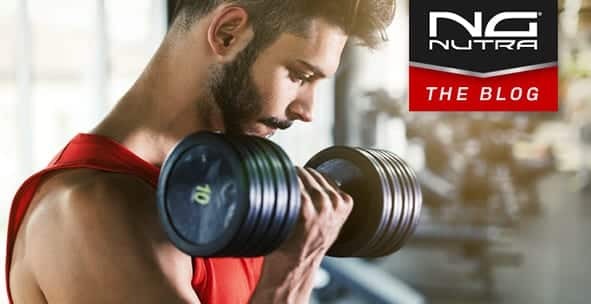 Creatine converts into adenosine triphosphate, which is the preferred fuel of muscular tissue.Glutamine also supports muscular performance and endurance. If you arrive at the gym without a plan, how will you be able to build a muscular body without a blueprint? While general exercise is beneficial for overall health, you’re not at the gym to only support your health: you want to build muscle. This means you’ll need a muscle building-focused program. The reason that bodybuilders are always eating protein-rich meals is because protein contains the essential building blocks of lean tissue. Not only does protein help you feel more satisfied with your meal, it also provides the body with essential amino acids for recovery. If you want to gain muscle mass, try to consume 1 gram of protein per pound of bodyweight. You can also tap into the benefits of amino acids by taking an amino supplement. Speaking of recovery, you will need to rest as hard as you train. It’s during recovery that the muscle tissue rebuilds and grows. This means you’ll need to be following a well-balanced diet of natural and whole foods while limiting processed foods. You’ll also need to be sleeping between 7 to 9 hours each night. We would recommend taking a recovery supplement like ZMA to assist with sleep. One workout won’t do the trick forever. When it comes to muscle building, you’ll need to constantly change up the workout so your muscles don’t have a chance to adjust, become comfortable, and plateau. Every 4 to 6 weeks, we would recommend changing the workout. Whether it’s adding more sets, performing less repetitions with heavier weight, or trying new exercises, your body will appreciate the change. Gleeson M. Dosing and efficacy of glutamine supplementation in human exercise and sport training. J Nutr. 2008 Oct;138(10):2045S-2049S.